Social media moves fast, but nowhere is it faster than on Twitter. If you’re promoting events on Twitter, that means your marketing strategy needs to evolve quickly too. Twitter may be one of the most challenging networks for social media event marketing, but it’s also one of the most rewarding. Here’s the latest scoop on using Twitter for events, straight from the experts at Buffer. Tweets may be short, but the Twitter community is large: the platform has 320 million monthly active users. Used by 21% of women and 24% of men, Twitter is most popular among high-income millennials: a prime ticket-buying demographic. If your event draws a younger, tech-savvy crowd, Twitter should be a vital part of your promotion strategy. Michelle Manafy of Inc. calls Twitter users “information junkies,” referring to a wide variety of information: technology, news, sports, marketing, journalism, and so on. The first step in promoting your event on Twitter is crafting a hashtag and bio that capture the spirit of your event. Hashtags are one of the most effective ways to unify conversation about your event on Twitter. When choosing an event hashtag, you want to keep it short and memorable. When in doubt, consider simply using your event name, its acronym, or even including a hashtag in the official name of your event. Also be sure to double-check that the hashtag isn’t already being used. Before finalizing your event hashtag, search Twitter to make sure it’s not already in use. Your event’s Twitter bio is one of the first things people will see on your profile. And since Google prioritizes social media profiles, it’s likely your Twitter account will show up high in search results for your event. And don’t forget the importance of images on social media. You’ll likely want to use your logo as the profile picture and a fun photo of a recent event for your banner photo that captures the excitement from last year’s event. Your Twitter profile photo should be 400×400 pixels, and your header image should be 1500×1500 pixels. Topical and timely posts work great on Twitter. Twitter users are usually most interested in news, quick tips, interesting articles, and trending topics. Use quick, witty, and eye-catching updates to engage them with your event. Every social media platform is a bit different, but on Twitter images are king. Posts with images are a third more likely to get retweeted than posts without them, according to Twitter. Beyond images, keep the post short (obviously) and as eye-catching and to the point as possible. Send out news, tips, how-to’s, interesting articles and trends. And ideally you’ll want to keep them shorter than the 140-character limit. The ideal length depends on your audience, but in general stick to a 70- to 100-character range. Tweets shorter than 100 characters have a 17% higher engagement rate, according to social media management platform Buffer. Be aware that a tweet reaches its peak after 18 minutes, so you’ll want to post more frequently than on other networks! If you’re struggling to brainstorm topics to post on, check out this complete guide to social media for events. The most tweets are sent between noon and 1pm in each time zone. And that could be because there’s a lot of people engaging with Twitter at that time — but it could not. You’ll need to run some tests to determine what times of day your particular audience is on Twitter. You don’t even need fancy analytics to find the best time to use Twitter for events. For a week, try posting once a day during that noon prime time, and once during a less popular hour. Then look back on your tweet impressions for each post, which you can find in Twitter’s free analytics. See which time period is getting your posts in front of the most eyes, and stick with that. At the event, it’s worth showcasing a Twitter wall. These screens display tweets and images as they’re posted — if they’re tagged with your event’s hashtag. 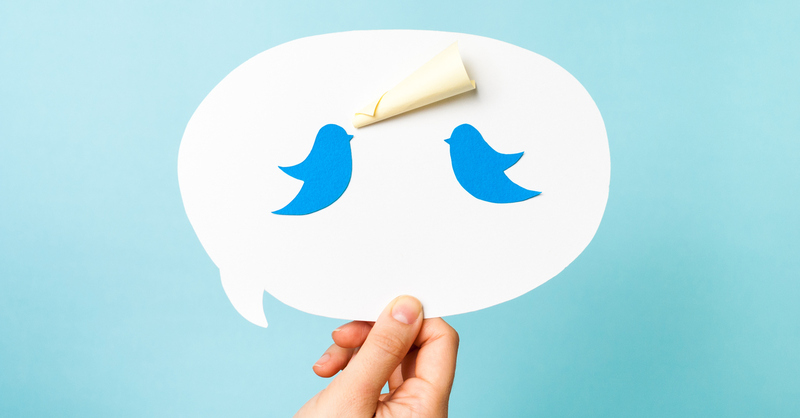 People love to be in the spotlight on these tweet walls, and your attendees are no exception. To encourage use, make sure your hashtag is visible on displays and screens throughout the event so people don’t forget it. Twitter is only one slice of a growing — and increasingly important — social media pie. Ready to learn how to take your social media event marketing game to the next level? Check out these 9 Simple Steps to Master Social Media for Events from the experts at Buffer.